How does critical realism allow and facilitate the resolution of problems in the area of comparative religion? Can it help you to justify your own faith or belief? What are the implications of the new philosophy of meta-Reality for traditional religious studies and how we organize and conduct our lives? 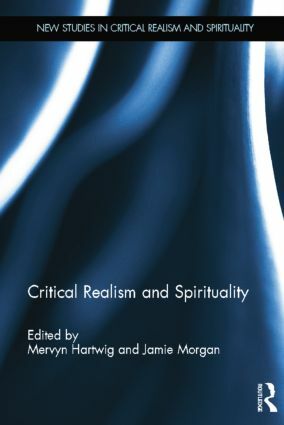 A range of distinguished critical realists, theological critical realists and scholars working with related approaches (Roland Benedikter, Roy Bhaskar, Terry Eagleton, Mervyn Hartwig, Alister McGrath, Markus Molz, Jamie Morgan, Andrew Wright and others) bring their talents to bear on this task. While their personal beliefs span the whole spectrum from theism to atheism, they are united by the desire to open up a space for dialogue of one kind or another (intra-faith, inter-faith and/or extra-faith), promoting mutual understanding, respect and the unity and capability for collective emancipatory action on a global scale that humanity is so sorely in need of. This book is therefore, essential reading for students and academics alike in Religous Studies, Theology and Philosophy.